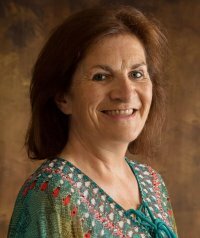 Mary T Bradford has been writing mainly short stories for a number of years now and has enjoyed success with her fiction in many magazines, newspapers and anthologies both in Ireland and abroad. It was because of this success, Mary took the plunge and self published her first collection titled, A Baker’s Dozen (2012) and is available in both print and e-book format from Amazon and other sites. She decided to tackle a novel when one of her stories kept getting longer and the word count continued to climb and so ended up with My Husbands Sin. She has also branched out into writing plays and has seen her work shortlisted and performed. When taking a break from writing and reading Mary loves to crochet or cross-stitch, crafts in general interest her. Living in County Cork, Ireland, she is married and is a mother of four children. Having overcome open heart surgery in 2008, Mary made the decision to dedicate more time to her writing as her children were almost raised and were starting to spread their wings. Family is important to her and her writing often reflects the ups and downs of life that all families go through daily. Connect with Mary through any of the links on this page and that is something else Mary enjoys, chatting with people! Lacey Taylor’s life was turned upside down by the stroke of a pen, putting her on a path to find her birth mother, Cora Maguire. But Cora is not the maternal type. Their relationship is strained as Lacey struggles for Cora’s affection. When Lacey’s life-path takes an unplanned twist, Cora becomes furious. How often can Lacey deal with life’s struggles without finally succumbing to them?